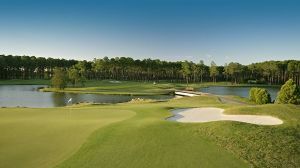 The layout and design of the course is reminiscent of the great courses of Britain and Ireland in the “Links-style” tradition. 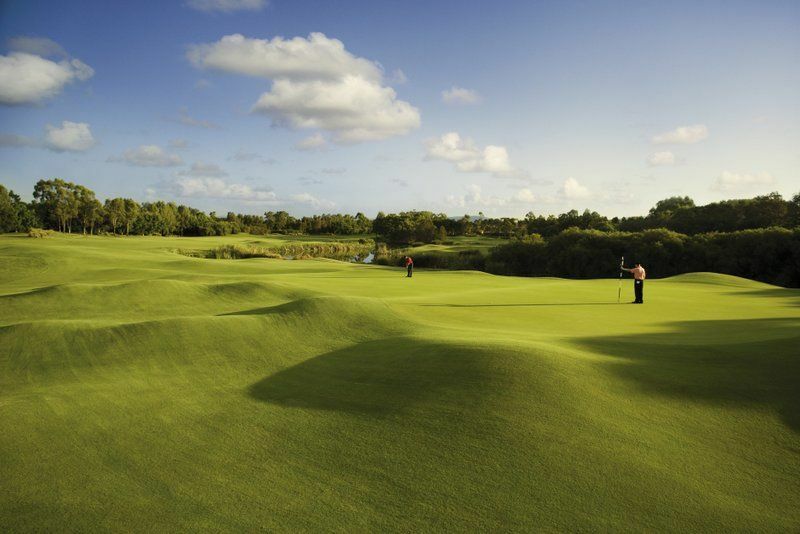 Primarily the course consists of two loops of nine holesThe layout and design of the course is reminiscent of the great courses of Britain and Ireland in the “Links-style” tradition. Primarily the course consists of two loops of nine holes half the front nine starts off to the southeast in an anticlockwise direction. The back nine heads off in a southwesterly direction, finishing with an interesting challenging two holes bounded by the non-tidal lake. 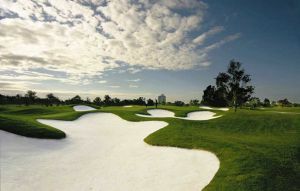 The front and back nines are separated by an extensive practice facility, consisting of putting greens, driving range and chipping green with bunkers. 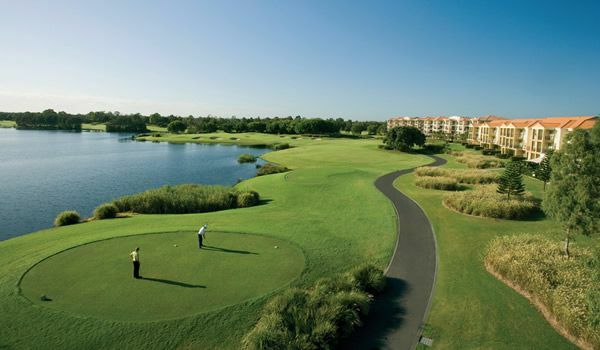 Reminiscent of traditional links combined with the luxury of the resort facilities. Colour GPS equipped golf cars. Immaculately groomed tees, Wintergreen couch fairways, bunkers, Bermuda grass greens. 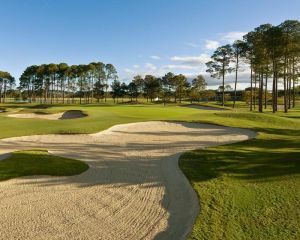 128 pot bunkers, grassy mounds and plenty of water. Open 364 days. Neat dress code, short socks permitted. Soft spikes required. Bookings essential. Regular competitions. The offer of equity memberships is available. The driving range is unique in that it takes the concept of a driving lake, complete with target greens with bunkers at various distances from the practice tee. This area provides a spectacular view from the clubhouse. 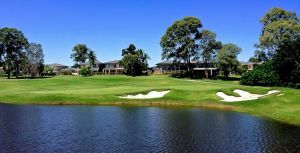 In various positions around the back nine holes of the golf course, chipping and putting courses are available for residents use. Hope Island Golf has different Services to offer. Choose a date and number or players to see the rates.